​While we do not currently have a State Officer representative from District 2, we want YOU to become further involved in NC FCCLA! Our organization offers several super opportunities for you to grow as both leaders and individuals. Select another district from the dropdown menu to read a letter from a current NC State Officer. While district 2 is not specifically represented by this year’s officer team, we are all invested in the growth and development of this area. Interested in becoming the representative for your district? Stay tuned for updates on the 2019-2020 State Officer Application! ​P.S. keep up with NC FCCLA and learn about more exciting opportunities by following us on social media! This could be YOU! 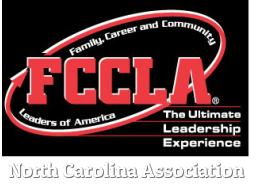 Run for NC FCCLA State Officer today!